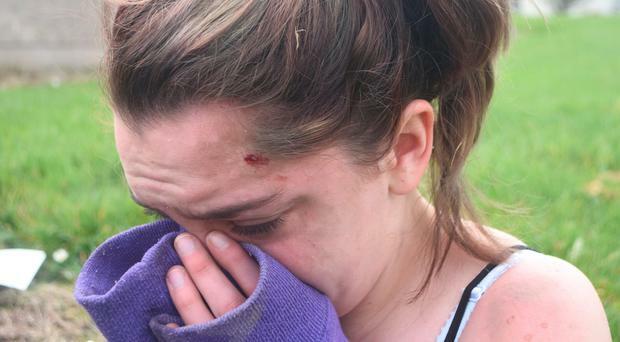 A NUMBER of people have been taken to hospital and others have been arrested after a 'mini riot' broke out during an animal rights protest at a circus this afternoon. Gardai have confirmed that six people were arrested after the incident at Belly Wein Circus which is currently based on the Greenhills Road in Tallaght, Dublin. At least five ambulances attended the scene while officers were forced to intervene between the sides. 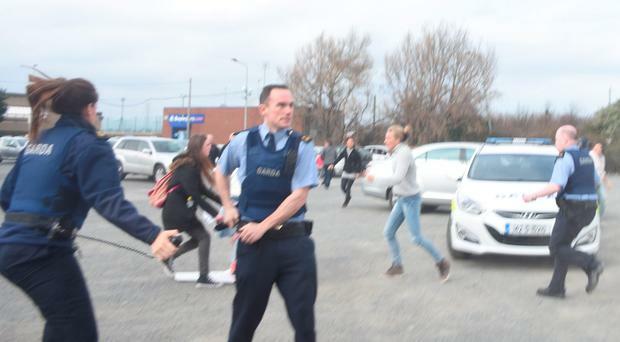 Photographer John Rooney (24) was at the event and he described how protesters clashed with workers. "At roughly 2pm around 15 people arrived. The protesters entered the property and they were talking to a woman there. "That's when it all happened." The scene at Circus Belly Wein today, Photo: Justin Farrelly. 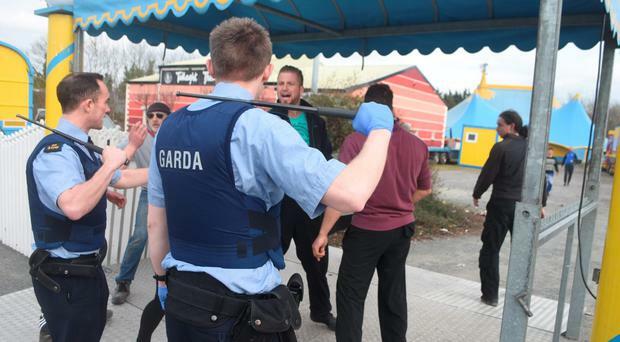 Gardai from Tallaght were called to the scene and six people, all believed to be from central Europe, were arrested for public order offences. 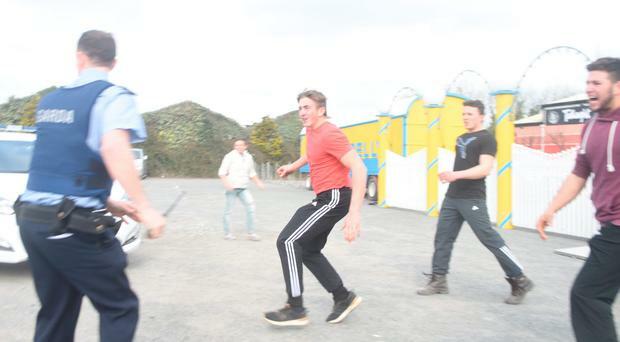 Officers are investigating if a baseball bat was used during the clashes. The circus is currently based near the Cuckoo's Nest pub off the Greenhills Road in South Dublin. Senior sources have confirmed that nobody was seriously harmed during the incident. But at least three people were brought to Tallaght Hospital with injuries. Mr Rooney was one of those injured, and he received treatment at the scene this afternoon. Circus Belly Wien worker Amanda Renz has claimed an elderly lady and children were knocked to the ground during the melee. The worker also said stones were thrown and vehicles were damaged in the incident. She said: "I think this is Syria with all the people fighting. This is not good for Ireland, this is shame for Ireland." Ms Renz, from Germany, claimed the circus has been at the spot for a month. In spite of the melee Ms Renz confirmed that there will be shows tomorrow. "We do not mind protests, peaceful protests are good. We do not think this was peaceful." Ms Renz said those arrested had since been released. Another worker Nadja Scholl (30) said her three-year-old son got pepper spray in his eye during the clashes. Protester Peter Greene explained that they gathered at the site after spotting pictures of elephants grazing in a nearby field online. 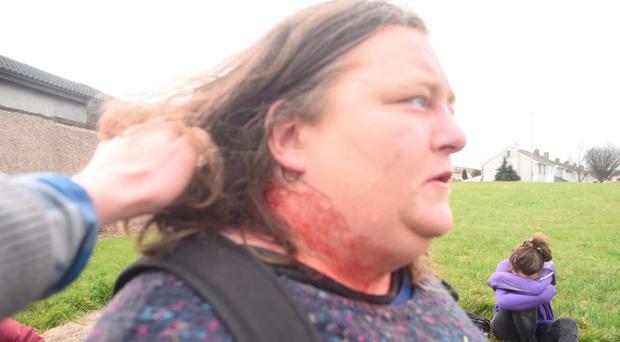 The 58-year-old from Jobstown said: "I was here with a small group to halt animal cruelty." He claimed that they were standing outside the temporary premises and when they moved inside "all hell broke loose". "It was very, very serious." Local councillor Dermot Richardson (Ind) attended the scene shortly after the clashes. He said: "This circus needs to move on. There is no benefit to anyone here". Superintendent Peter Duff from Tallaght garda station appealed for anyone with information about the incident to contact them at 01666600. Animal rights group ARAN have called for calm over the clashes. In a statement the group also demanded emergency government intervention to ban the use of animals in Irish circuses. "Ireland is now being used as a dumping ground for international circuses that have had to move as a result of bans coming into play in Austria and Holland where Circus Belly Wien / Renz International were previously based." ARAN said 13 Irish towns and cities have passed motions to ban animal-act circuses using public land.